Chewbacca is the coolest character in the Star Wars franchise. And yet he seems to get walked all over. Han disregards his opinions. Leia likes him, but sometimes you get the feeling she would like a golden retriever just as much. And let's not even mention Luke. He is too caught up in his own personal quest to really take the time to bond with the Wookie. Now you can let Chewie do some of the stepping on. 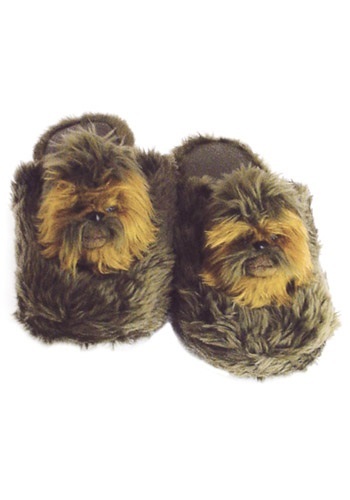 With your feet inside these Chewbacca Slippers you can help Chewie get his revenge for all the times he was ignored. Just because he doesn’t speak Galactic Standard doesn’t mean that everyone can disregard him. The only ones who seemed to have a healthy respect for the Wookie were the Stormtroopers. And that is probably because he could rip them limb from limb.